I was given the ultimatum 3 weeks ago. 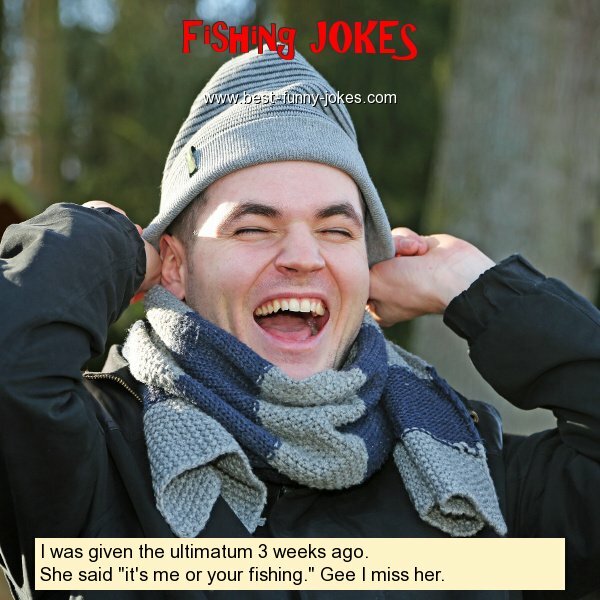 She said "it's me or your fishing." Gee I miss her.